Two momineen embraced shahadat near Gurumandir intersection in the heart of megapolis when yazidi terrorists opened fire on them it was learnt shortly . 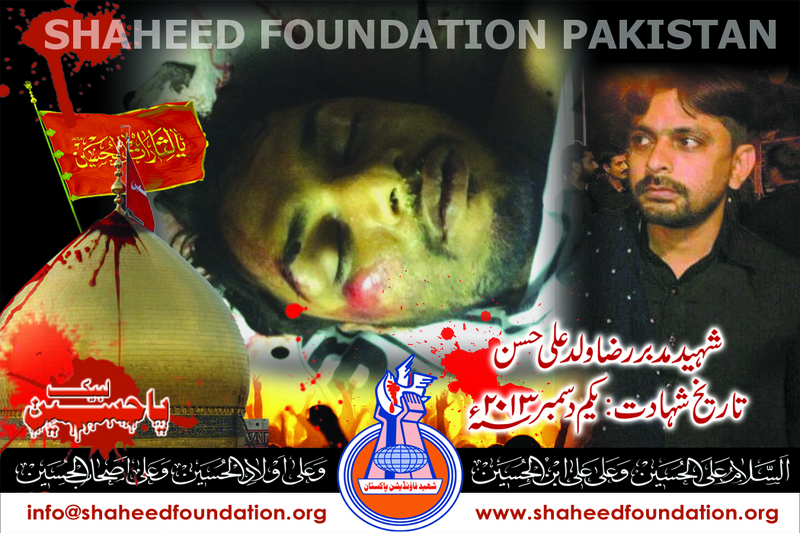 The martyrs have been identified as Mudabir Raza Son of Ali Hasan and Haider Raza Son of Mohammad Ramazan. The bodies of martyrs have been shifted to Fatimiyah Ghuslkhana near nomayesh chowrangi where the namaz-e-janaza is likely to be held some time during the day. 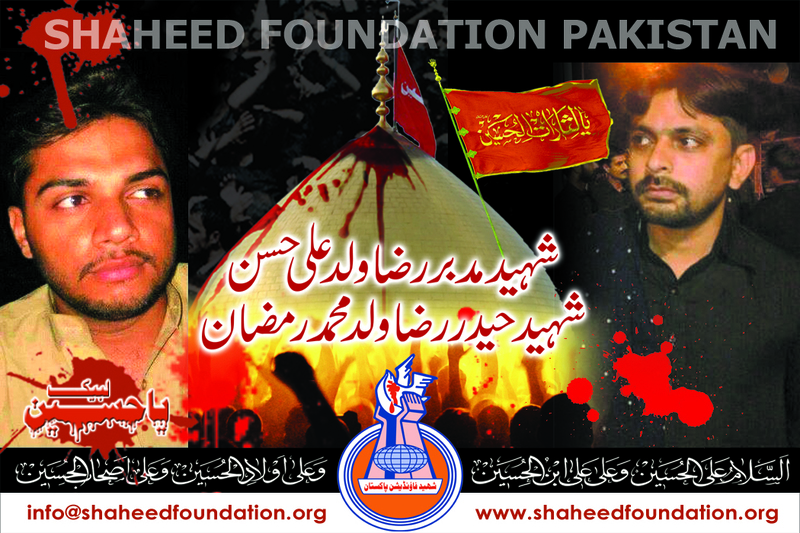 Please recite a fateha for Shaheed Mudabir ,Shaheed Haider and Shohada-e-Millat-e-Jaffarya Pakistan . Namaz-e-Janaza of Shaheed Muddabir Raza and Shaheed Hyder Raza will be offered after Namaz-e-Zohren in Shah Khurasan While tadfeen will be in Hussaini Bagh Mewashah. Hussainiat ka tau 14 sadyon se ab talak qayeda yehi hai! badan se teeron ko taurh dena ,galay se khanjar ko kaat dena!